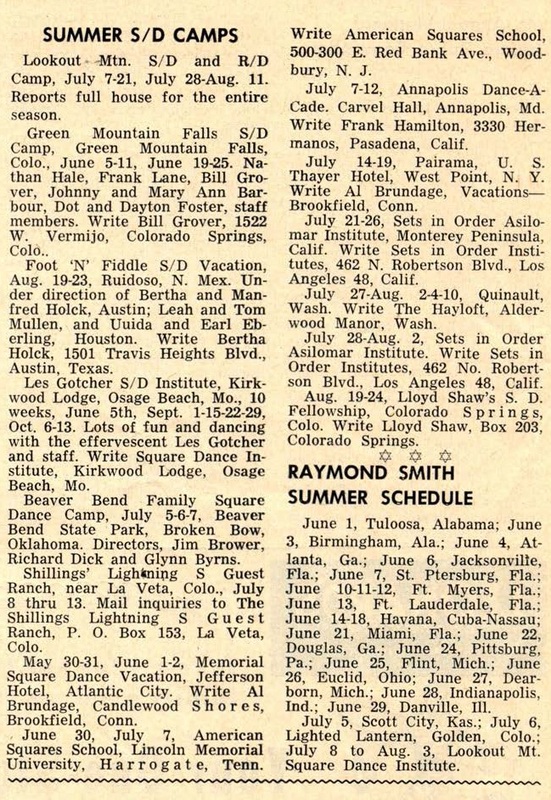 This is a listing of square dance camps in 1957. Interested viewers can compare it with the Sets in Order editorial from 1951. 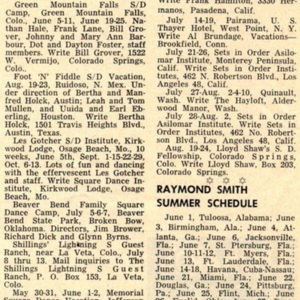 Swede Soderberg, “Square Dance Camps - 1957,” Square Dance History Project, accessed April 24, 2019, http://squaredancehistory.com/items/show/1811.